You may have seen author and social media star, Brett Cobley (aka EpiVegan), wowing our judges to win ITV’s ‘The Big Audition’ over Christmas. 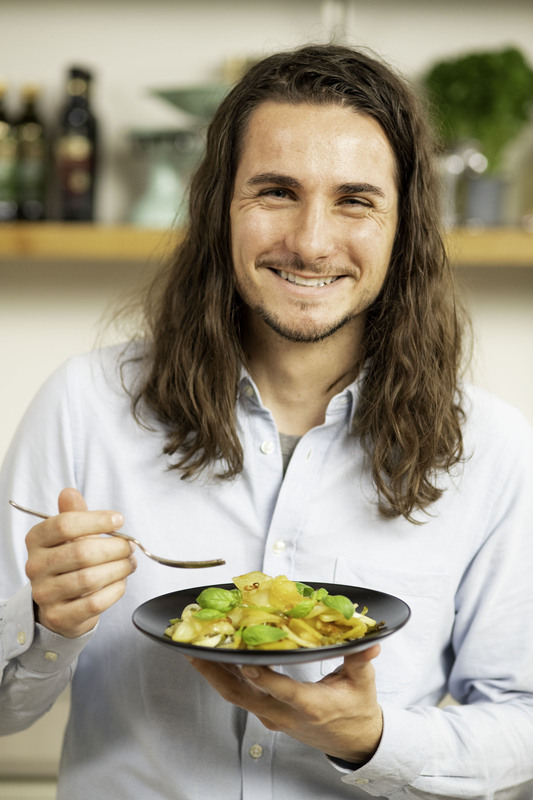 We were so inspired by Brett’s delicious food that we’re now offering you the chance to cook alongside him at Filippo Berio’s first ever Vegan Supper Club! Using only the finest ingredients, you’ll have a hands-on cooking experience with Brett and Head Chef Stefano Borella, learning how to create a range of ‘Veganised’ Italian classics including the Epic Bruschetta and Italian Flag Lasagne that helped Brett win the show. Once the food is prepared and ready, our guests will dine together enjoying the fruits of their labour ­– a sumptuous four course meal, made with the finest olive oils and paired with specially selected vegan wines. Tickets are exceptional value at £75pp, which includes a 2-3 hour cookery lesson, a four-course meal, wine PLUS a Filippo Berio goody bag worth over £30. You’ll also leave with those all-important recipes to recreate the dishes back home. Whether you’re Vegan, flexitarian or just want to experiment with more plant-based cooking, you won’t want to miss this unforgettable evening!